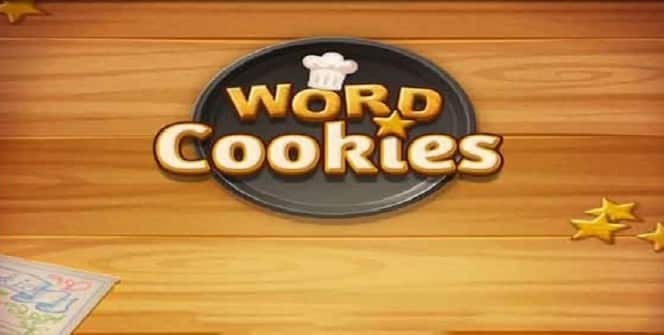 Created by BitMango, Word Cookies is a puzzle game that requires you to discover hidden words from a bunch of mixed letters, and also find words that have been derived from main words. When playing the game, you aim at finding all the hidden words, and probably improve your spelling, vocabulary and concentration skills. The game is designed for mobile devices (Android and iOS platforms), but with an Android emulator, it can be made compatible with PCs. The words are placed horizontally, vertically, diagonally and backwards, and so you need to use all these directions when looking for hidden or derived words on your cookie pan or plate. When you have found a word, swipe your finger over it to select it. The selected word will remain highlighted and will also be placed on the list of found words. Word Cookies has over 580 levels, and this is one of the reasons why it is one of the world’s most enjoyable word puzzle games. The levels offer incredible challenge, daily rewards and free coins, which are some of the things that make the game quite exciting and addictive. You will be required to use your brain power to find hidden words in all the levels of this game which has been described as the king of brain teasers. Some common words have been blacklisted in this puzzle game, and therefore you will not gain anything by finding them. For example, words like “his” and “lab” are not accepted in the list of the found words. But at the same time, not all these words are blacklisted, so you might have to try some to see if they can go to the list. In order to make this game more challenging, the developer has included some words that may not be familiar to most people. These words could be in American or British English, which means that you may face some great challenge if you haven’t mastered the two languages. But the good thing about these big words is that they improve your vocabulary. There are no time limits in this game, so you shouldn’t be worried about running out of time when playing. You will not be penalized for taking too long to solve puzzles, and at the same time, you will not get any bonus for solving them quicker. So take your time to analyze puzzles, and you can even take longer breaks when things become harder. At some point when searching for words, you will start to see the “Hint” button moving around the screen. 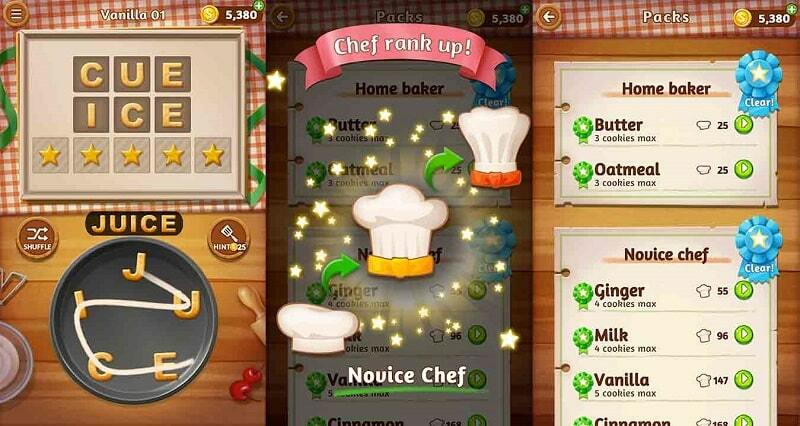 You can click on the button to make it easier for you to find the remaining words on your pan or plate. You will spend some coins when you hit the “Hint” button, but the “Shuffle” button and the empty tile grid offers you assistance at no cost. With an Android emulator on your laptop, MAC or desktop, you can install this game on your computer. The emulator will make it possible for you to find and install the game app on your PC. Sometimes when playing Word Cookies, bluestacks ask you fee to pay but gives you option to download some apps. Every time it asks you just select “Install apps” and continue using it free. I hope you enjoyed this article, please rate and share. If you have problems running Word Cookies on desktop or any other issues, leave a comment below.